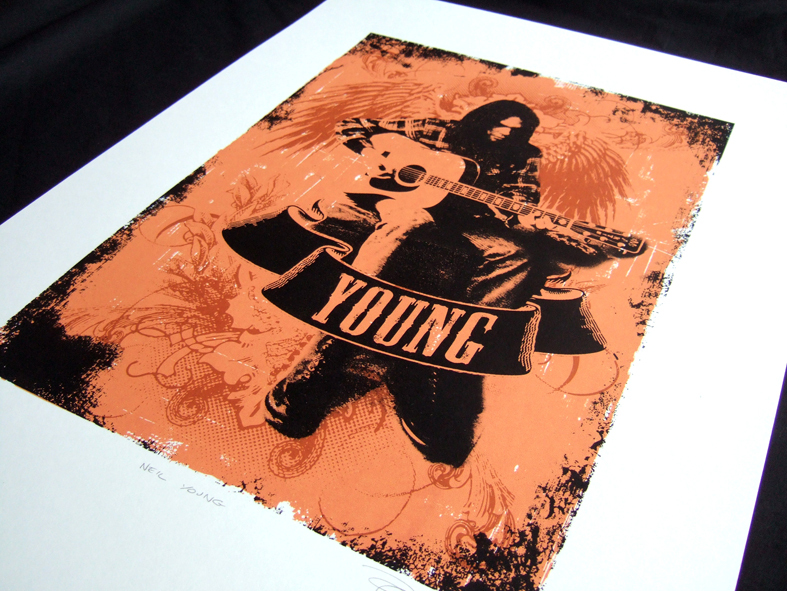 This is my second print based on one of my all time favourite singer songwriters. Although when I first heard one of his songs I had to switch the radio off, the sound of his voice just put me off! But then a few years later I heard The Needle and the Damage Done which remains one of my favourite Neil Young songs to this date and was instantly hooked! I now have his entire back catalogue (I think) and was very fortunate to see him play live when he came to the U.K in 2009. 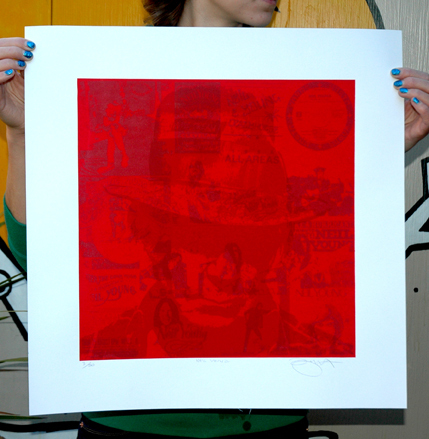 This 3 colour hand pulled screen print measures 50cm x 50cm (approx) and is printed on 270gsm acid free art stock. Each print is signed & numbered and is strictly limited to an edition of only 50 so once they’re gone they’re gone. Posted in Prints. 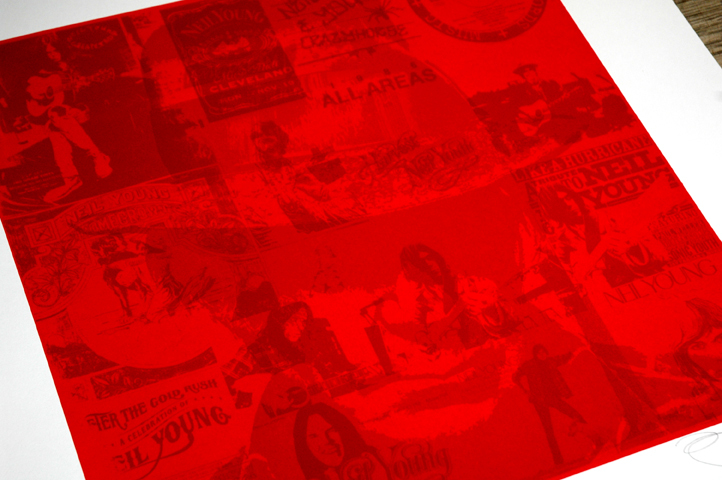 Tagged with Crazy Horse, Folk, Guitar, Music, Neil Young, Red, Rock. This is the second of a series of prints based on some of my favourite musicians. Although when I first heard one of his songs I had to switch the radio off, the sound of his voice just put me off! But then a few years later I heard The Needle and the Damage Done which remains one of my favourite Neil Young songs to this date and was instantly hooked! I now have his entire back catalogue (I think) and was very fortunate to see him play live when he came to the U.K in 2009. This three colour hand pulled screen print measures 42cm x 59cm (approx) and is printed on high quality acid free 315gsm Heritage art stock. Each print is signed & numbered and is strictly limited to an edition of 150. Posted in Prints. 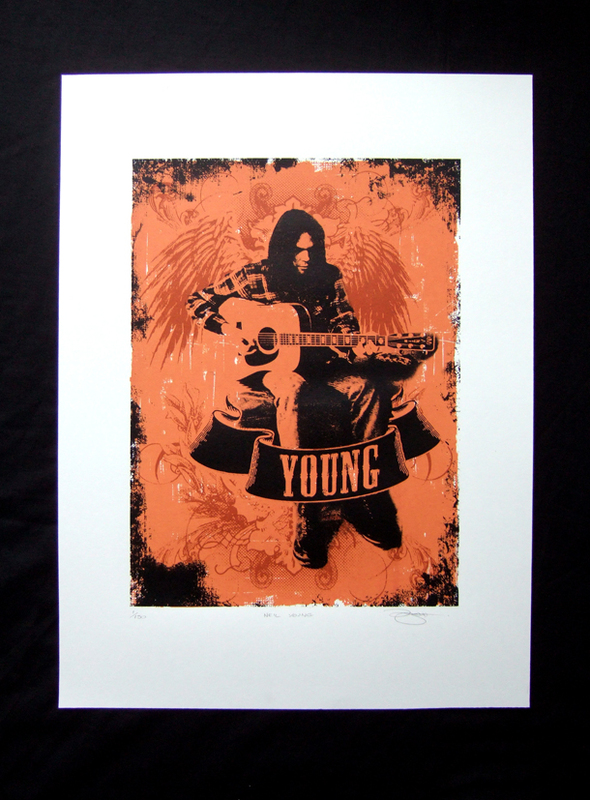 Tagged with Guitar, Neil Young, Rock, Screen print, Screenprint.